Stros M’Kai is a tutorial zone for Daggerfall Covenant players level 3-5. 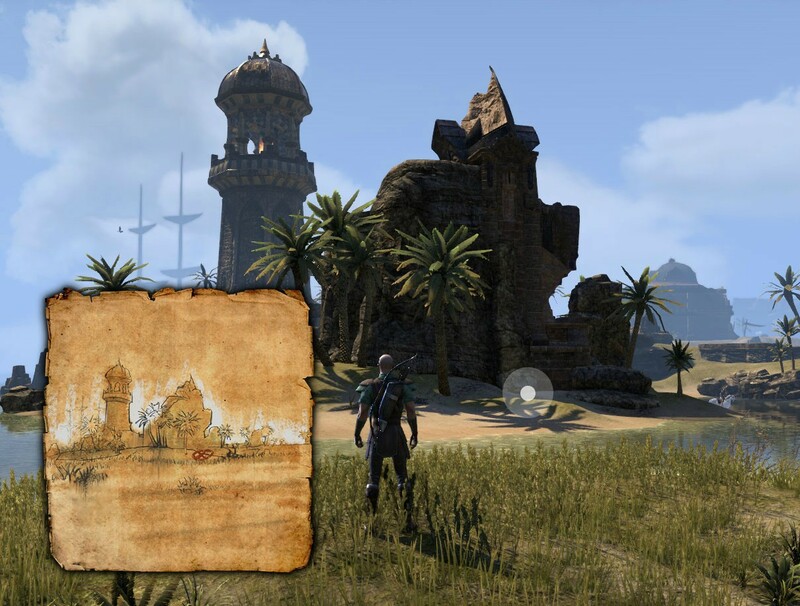 Although the island itself is very small you have a chance to acquire two Treasure Maps and additional Stros M’Kai CE Treasure Map which is available as pre-purchase bonus. Each treasure map sketch will give you a hint where to look for a buried treasure, but it’s not easy to find this hidden place. The place where you should dig up the treasure chest is always covered with dirt mound, and it’s visible only to players with the corresponding map. Use Saintsport Wayshrine and head south of the docks towards the lighthouse. Small island near the west coast. Use the nearest Port Hunding Wayshrine, and head southwest until you reach a small island Pillar of the Singing Sun. In the center of the island you will see a small tent and palm trees. The buried treasure is hidden between rocks, right behind the palm trees. 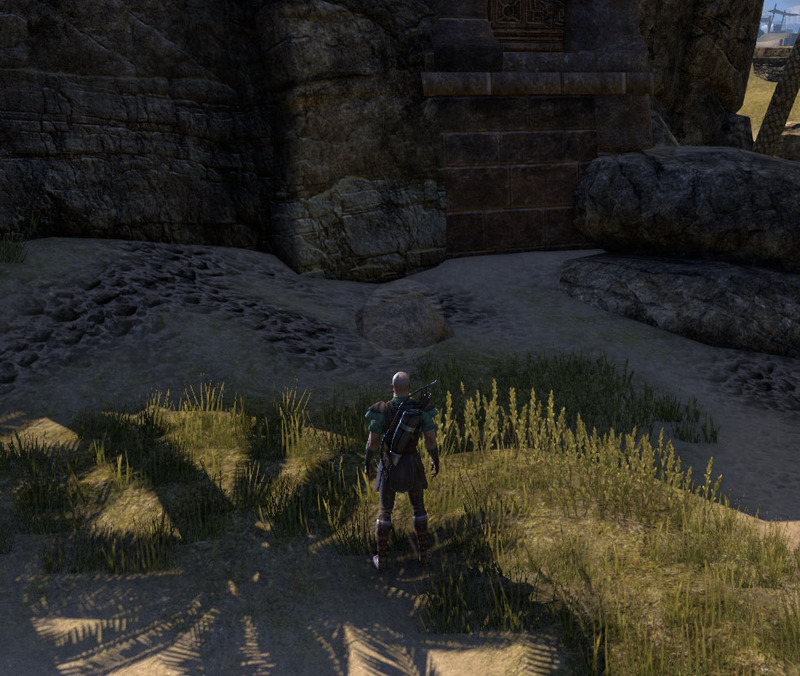 Use Port Hunding Wayshrine, and head towards Headmaster Bhosek’s Palace. From the main entrance turn right, and you’ll find digging spot behind the large rock. The map and screenshot for Stros M’Kai Treasure Map I is little off, got the map yesterday and sending you my screens where the actual treasure is. So can we still get the Maps even if we didn’t pre-order? The CE maps are something you have to pay for with Crowns, but you can still buy them even without the preorder. The “treasure map I, treasure map ii”, and so forth, are in-game loot. 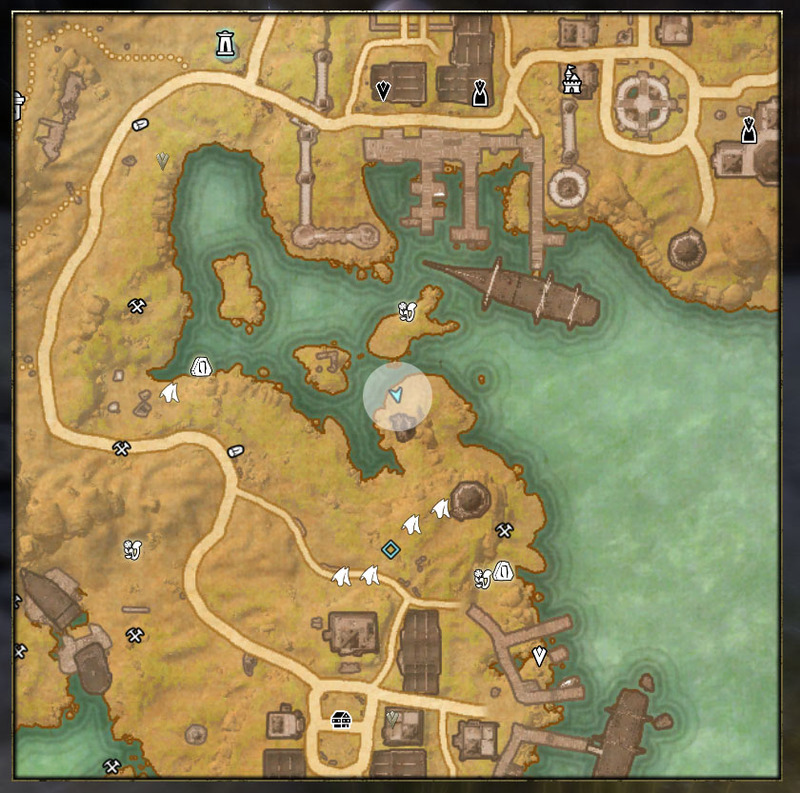 Its easier to find if you use the Port Hunding Wayshrine and head south from the docks from there.